Behind the most successful novelty shop in the country is a family that crafts together. The Alejandros, a family of seven composed of Corit and Benny; and their children Patsy, Peggy, Meldy, Robert and Tina have worked together to build and grow Papemelroti, a 22-year-old novelty shop that prides itself with quality crafts. The business initially started as a small gift shop that later evolved into a novelty shop. The business idea came when Corit was compelled to stay at home after marrying Benny and moving to Manila. In order to keep herself busy, Corit tried her hands on crafting. “I started sewing the dresses of my children from the retasos, I would make stuffed toys. Passers by would call and buy which encouraged me to continue. At the start, I bought patterns, later, I made my own designs and my own patterns,” Corit recounted. 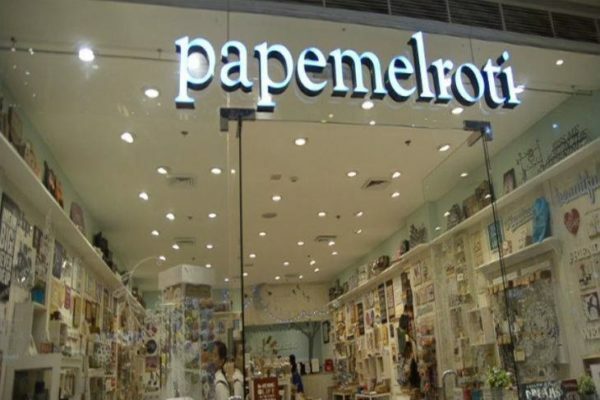 In 1976, the family opened the first Papemelroti branch in Ali Mall. They sold recycled and repurposed products designed by Corit and her children. Although the shop was located at the second floor of the mall, the sales of the products were good. This prompted her to transfer the shop to the ground floor. Until now, Corit always requests for a ground floor space. According to Corit, the success of Papemelroti is rooted to “having five children who do not give me headaches and a husband who understands me.” Her kids, who are all UP graduates, have their specific responsibilities in the business. Patsy, an Interior Design major, designs the paper products and takes care of most of the paperwork. An Architecture graduate, Peggy also designs and is in charge of the personnel. Business Administration major Meldy sees to it that the needs of the different outlets are met. Although Robert has his own business, he still makes time to design for the family business. Lastly, Tina, a Mass Communication graduate supervises the store’s design and layout and designs as well. 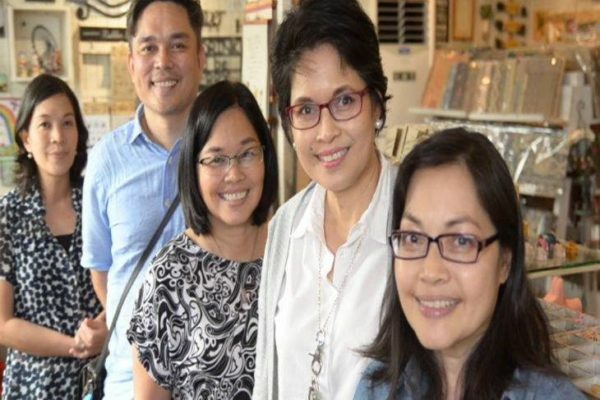 To date, Papemelroti has 18 branches nationwide, most of which are situated in Metro Manila. “We’re really committed to helping Filipino families, so ayaw naming mag-import from other countries kasi that means tinutulungan mo ‘yung mga pamilya doon, eh dapat mauna dito,” Patsy told MY PUHUNAN.